Tired of the usual color of your phone? It is time to level up your game! With Huawei leading the trend in color gradient technology, Huawei created the perfect device that will match your standard and personality. Huawei has been widely recognized for its innovative and revolutionary technology that the brand always bring to the table. Every year, Huawei delivers a one of a kind technology that no one has ever done before. When you work with Huawei, you are not just an engineer or a researcher or an employee - You are a visionary. You are a dreamer. You are a creative. For every product that Huawei introduces to the market, the brand always use their acquired inspiration and envision it in such a way that these innovations won’t go to waste. Huawei ensures that every new innovation and technology they could think of is an important technology that they need to further enhance and develop to give their consumers the latest technology whether it is a camera, software or a design and color technology. The company has been the first to introduce the gradient finish with the Twilight version of the Huawei P20 Pro. Eventually, it decided to make this color experience available to more users with the Iris Purple variant of the Nova 3 and 3i. But how did Huawei came up with this innovation? Let’s find out. The smartphone industry has shifted from the usual black hue color gradient to something more exciting. Driven by the desire to express themselves through their mobile phones, people began to explore and incorporate gradient colors into their everyday lives. The structural coloration is used to create a brilliant and rich structural colors that otherwise cannot be reproduced with simple pigments. Structural coloration is caused by surfaces with microscopic irregularities that bend visible light in a way that the beams of light are refracted, reflected and interfere with each other. The resultant colors, dubbed with structural colors, may differ from the actual color of the pigments on the said surface – this gives a certain degree of iridescence to surface, allowing the viewer to perceive different colors when looking at the object from different angles. The gradient color of the HUAWEI nova 3 series is based on this principle of structural color. When light hits the glass back of the device, it goes through five layers of nano coating. When light passes through these layers, it goes through diffraction, refraction, reflection and interference and has its red, orange, yellow and green wavelengths absorbed. As a result, our eyes can only see the rich and illusionary blue-purple gradient color. 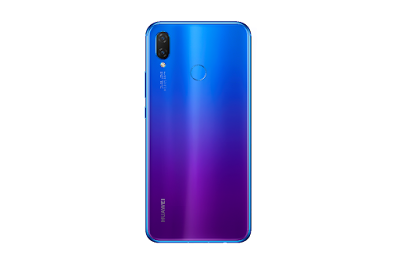 The gradient colors on the HUAWEI nova 3 series is created by the NCVM process. It is the most cutting-edge technology for generating gradient color. The technology has extremely strict requirements for the processing environment. The entire process of coating takes four times as long as the industrial standard and with only 30-40 percent yield – this means one in three pieces of glass is discarded for failing to meet the quality standards. It took Huawei more than a year to develop the gradient color, during which Huawei has used tens of thousands pane of glass for testing purposes. Huawei spent almost half a year to come up with the color scheme. 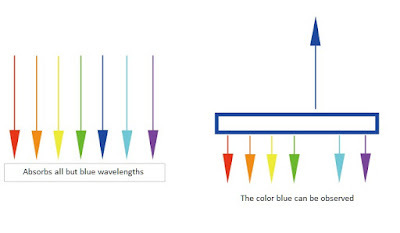 Huawei tested many color combinations, from a red-to-green gradient, to a green-to-purple gradient but since those gradients involved more colors, they were very difficult to realize. Ultra Violet is the Pantone color of 2018. As a device that strives to be at the forefront of trends, Nova 3 and 3i is available in a special gradient color, Iris Purple, in which the purple slowly transitions to a shade of blue, as if it is a living, breathing piece of art. Exuding strong techno vibes, the Iris Purple gradient color is perfectly realized on the textured film underneath the curved glass. Purple and blue blend harmoniously with the neon-like contrasts, melding together to create a very futuristic looking hue. Besides the trendy Iris Purple variant, HUAWEI nova 3i is available in Pearl White and Classic Black. Whether it is on the runway or a car, these colors have never been out of fashion. 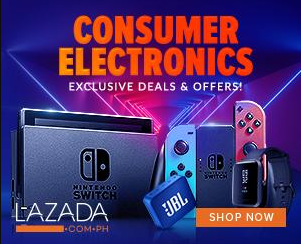 The HUAWEI nova 3i and the nova 3 is now available in the Philippines for Php 15,990 and PHP 25,990. Consumers may avail this midrange gem by visiting Huawei Experience Stores and partner carriers nationwide.